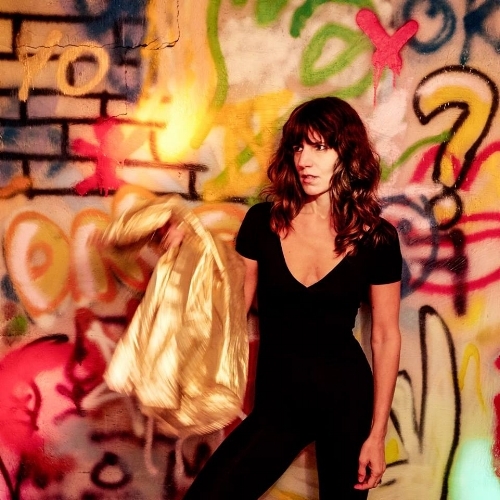 when it comes to Eleanor Friedberger. I will talk about her latest single (and album) soon but, before then, it is worth exploring a few sides to her personality and path into music. I want to talk about the bubble and excitement of New York; those artists who are inspired by great adventure and moments; a look at adding new elements to your career as time goes by; going from playing with a band to recording on your own (more or less); music and artwork that is more personal and self-reliant; getting good reviews from the critics; eyes being opened to new artists that can go really far. I will touch on New York because that is where Friedberger is based. I have reviewed a few New York artists over the years and it always brings me back to one subject: the thrill and excitement of the city (or state, if you want to be precise). It is a busy and adventurous area of the world that always inspires the mind. I have never been myself but have followed the music of New York for decades. It is a vast wonderland and has produced some of the biggest musicians from history. Whereas London is a city with all sort of cultures and possibilities working alongside one another; New York seems even more broad and exciting. I can imagine the sheer busy bustle of the place can be intimidating and scary to many people. What I wanted to highlight was the way the people and streets can compel songwriting. If one looks at Friedberger’s album, Rebound, and you get a lot of personal tales and insights into her mindset – there is influence from the flavours and feel of New York. I have been looking to go to New York to see what makes the music there so immense and compelling. No two artists (from New York) are the same: each one has their own drive but there is that common link and ambition. Friedberger is a mercurial songwriter who absorbs everything from her surroundings and delivers something majestic and pure. I will look at other sides of her music but, before I come onto that; let’s look at artists who define what a city/area is all about. I love music that has variegation and goes in various directions. I feel, if Rebound were one-dimensional and easy to appreciate, you would not bond with it the same way and take much interest. Friedberger could never create an album like that: she puts her everything into the music and, as I mentioned, collates scraps and impressions from the streets. I do not want to bring gender into the mix but, in a week that has seen Courtney Barnett release an album, it seems there is a lot of attention coming the way of female artists – it is long overdue and, let’s hope, this will lead to something big and evolved. There are many strong female artists out there but, with songwriters like Friedberger and Barnett; you get every box ticked and taken into a wonderful and entrancing world. Both artists look into themselves and put their everything onto the page. Whilst Barnett’s music might be a bit harder and raw; Friedberger is a more passionate and ethereal soul – an artist who has made big strides and is gaining a lot of focus right now. I have mentioned New York and, when you listen to the music unfold, you might wonder how it correlates to the city and the impression we have of it – the traffic noise and the never-ending chatter and clamber. New York is a complex city and state that has so much beauty and richness working in every corner and seam. I will move on from this point but I can hear the vibes and scents of New York working through Friedberger’s album. Even if you do not hear what I hear: you cannot argue there is an immense amount of quality coming from here. London is dear to my heart but we often ignore New York and other areas of the U.S. Let’s hope, with Friedberger’s latest album out, there are more eyes cast the way of New York. One of the things that has struck me is Friedberger and her 2016 adventures. There, she spent most of the time on the road and immersing herself in Greece and its people. Maybe that was a reason her latest album sounds so natural and confident: that need for rebirth and a sense of direction. Over in Greece, Friedberger was looking for a recharge and wanted to write some new music. This is where the inspiration from the album comes from. The pace of Athens differed from that of New York. In a year where political activation was occurring and change was occurring (not always good); there was tension and discontent in the U.S. Things were not exactly rosy in Greece but there was a different mood coming through. There was fight in the spirit of the Greek people but, alongside that, a lot of beauty and chance to relax. Friedberger asked a friend what she should do before she left. The reply she got was to visit a club called Rebound. It was/is only open after 3 A.M. on a Saturday and a spot that is a 1980s Goth space where people do The Chicken Dance and time, in many ways, stands still. It is isolated away from all the crap and tension going on outside. To go somewhere where people are free to be open and let themselves go; there are no expectations and you can be as silly as you want – liberating and freeing of the senses. You can travel the world in search of answers and that ‘perfect’ moment. In the case of Friedberger and her latest album; that spark and sense of direction came from an unusual and unexpected place. That club was very smoky – despite signs banning it – and there was warped and dark sounds coming from the walls. I am not sure whether there exists any other club like that in the world. It seems to be from a different time. We are two years down the line and the album that is named after the club is out into the open. It is not only Rebound that goes into the album: there are embers and flecks of Greece you can hear alongside the New York inspirations. It is that balance between the modernity of N.Y.C. and the older, classical shades of Greece that perfectly contrast and conspire. So many genres and years of music fuse together and go into an album that seduces the listener and takes their mind away. Because of Greece and the adventure she took there; Friedberger invents her own little world and brings myriad sounds to the party. The strains in the U.S. and the political fire exploding in the air made her rethink her motivation and reinvent her ambitions. There was that need to escape from the angry voices and find a part of the world that provided magic and a degree of calm. If anything; there is a transposition of moods when you look at albums New View (2016, where she recorded with a band) and her current release. The former is a more serene and touching collection; the latter is a busier and more accelerated record – despite the country that, in many ways, inspired its creation. I guess Rebound is about the various worlds and mystical souls that converged in that space when Friedberger was in Greece. Her adventure was needed and it gave the music she is producing now an extra edge and brilliance. Artists travel and pick up new ideas from wherever they go. I have not heard of someone having such a radical shift and sense of confirmation from a brief trip. Friedberger was keen to find something wonderful in Greece/Athens – she found that muse and has brought all of her visions and memories into her latest smash. I will look at Rebound and its latest single but, before I come to that, let us look at Friedberger and her progress. I have mentioned her 2016 album and how New View was recorded with a band. That band was the one she toured with and the sounds we hear on both albums are very different. I am not sure whether there was too much clutter on her previous record or there were too many bodies in the mix. I can imagine her head was in a different place and her ambitions were different. The turmoil of the past couple of years, politically, meant a restructure was needed and a chance to streamline things. New View is a fantastic album and one that jumps into the brain. There is great passion working throughout and the music is incredible. You can hear the evolution on Rebound and so many different colours coming into her work. I will talk about that shift from band to solo but, listening to Friedberger right now and you get the sense of an artist who has found her place and is extremely confident. Even though the line-up is different, you can detect fresh ideas coming into the music. Rather than stick with the same sounds we know her for; Rebound is a chance to keep that core strong but try out other ideas and really push things. I have been excited seeing how all the different layers and imaginations come together. It is as though that time in Greece, paired with her time in New York, has changed everything and given new lease. There are not many artists who would take such a leap and make it work. I feel this is the start if a creative attack that will lead to some awesome revelations. The critics are already raving about Rebound (released on 4th May) and throwing their weight behind it – no wonder when you dive in and listen to the tracks unfold. 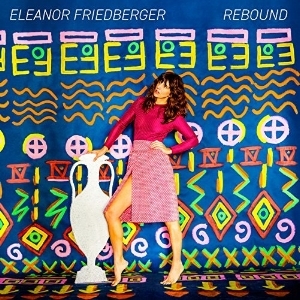 I have alluded to the fact Eleanor Friedberger recorded her 2016 album with her touring band. Now, in 2018, she has changed dynamics and recorded alongside producer Clemens Knieper. They have worked through the ideas and crafted an album that sounds very much like Friedberger but takes some risks along the way. I will talk more about Everything soon but the song itself is indicative of what you get on the album – brilliant storytelling and music that stays in the brain for ages. Stereolab, Suicide and Lena Platonos are among the inspirations for Rebound. It is a fantastic album that benefits from that singularity and simplicity. Although this album is busier and bolder than anything Friedberger has done before; that is not to say her previous work should be overlooked and seen as a step to where she is now. Her career has been fantastic and, with every work, that confidence has grown. I know there is a lot more in the tank from Friedberger. Whether she recruits a new band to tour with – or has one already – and her writing process changes I do not know. It is good to hear something focused and incredibly immediate from Friedberger. She has taken all of her experiences from the past couple of years and embroidered them into a fantastic story. Each song flows naturally into the next but they all have their personality and place. Here is an artist that does not create songs to be forgotten and skipped. What one gets with every album she brings out is an immersive and fulsome climate that involves the listener in the music and makes them think harder about their own life. The new ambition and sound from Friedberger come from that self-reliance and a desire to cast away any distractions. Journalists have commended Rebound and realise how meaningful the songs are (to Friedberger). She is an artist at the top of her game right now – there is a lot more to come from her. I will move on to look at her latest single but I wanted to mention a couple more things. I have mentioned personality and how that seems to define Friedberger as an artist. Every song she puts down on paper brims with candour, warmth and a sense of the mysterious. I have been looking out for artists who open my eyes and distract me from my daily tasks. I have been sitting down with Friedberger and finding so much wonder and brilliance in her music. She writes music that comes from the heart but wants to involve every listener in the experience. What you get is a musician who wants her music to touch everyone and reach around the world. That should hardly seem a shock when you consider the bi-continent influence of Rebound and the sort of things that compelled the songwriting. It is fantastic finding an artist who goes that extra mile and really puts their all into music. I am keen to distance myself (to a degree) from familiar sounds and embrace someone who has that unique edge and can hook the imagination. There have been some great albums this year but, to my ears, there have been few huge albums that have resonated and lingered. Maybe we have expected too much or it has been a bit of a weaker year than previous ones. Friedberger might not get the same attention as Jack White and Arctic Monkeys – she has, in my view, created a better album than both and should be given just acclaim. Rebound should challenge the top-ten of this year and be marked as a huge album. I have discovered an artist that will stay in my heart and gets huge respect. I feel other albums have failed to hit the mark and there have been missed opportunities. Friedberger has rocked up with a great album that has gained a lot of love and continues to drop knees and jaws. Everything is a song I wanted to highlight because it seems to distil all Rebound’s motives and skins into one and gets the mind working. There is a lot to ponder from the first moments of Everything. There are some wonderful notes and a playfulness that gets the brain whirling and the imagination fired. The electronics and beats have a cheerfulness and light side that means you bond with the song instantly and are invested. The heroine is not one to settle, as she says, and wants everything. There is a sense of ambition and motivation that means life as she knows it is not quite that fulfilling. Maybe she has been stuck and, musically, there is a need to expand and move on. Given her success and experiences, one can forgive her for not settling and wanting to get a lot more out of life. She does not care who is right – she wants everything. There is a cryptic manner to the song and the lyrics. You see it, at first, as a song about wanting to get more out of life and chasing dreams. The more it goes on, I get to thinking about other angles and where she is coming from. You can read it from a professional standpoint: that evolution and casting off other people; embracing a new phase and wanting things on her own terms. There are romantic embers and ideas that come to the front. I was thinking about that want of the heart and fulfilling other passions. What I love about the song is it never truly reveals everything and gives too much away. The listener is free to cast their own story and decide what Everything is about. The composition comes to the front after a few seconds. There is a parp and jubilant lift; an additional spritz of light and fun that keeps that sunny and bright aspect alive. The track looks at the wider world and a variety of characters. There is the filmstar and lovers in Europe; people who want their integrity and honour – the brain works overtime and pictures various different ideas. From that moment, when thinking about the film industry, something political came to mind – certain reviled figures came in and got me thinking about recent controversies. In any case, there is that look at celebrity and wealth; a certain excess that contrasts from the everyday desires and realities of most. Friedberger is casting her mind around the world and looking at the way various people have different objectives and standards – maybe they are never happy or are always looking for something more. There are people who want nothing and everything; never satisfied and sure of what they really want. One of the most celebrated lines from the song regards houses – wanting two of them after a moment of confusion. I get to thinking about materialism and that sense of extravagance. Maybe people think you need a certain level of material wealth and comfort to make life happy; they are living by other people’s standards and following something false and cliché. The narrator delivers lines about lacking clarity with real personality and humour. Alongside these questions and investigations is the composition. It adds so much story and imagination to the song. It has a simplicity and brilliance that makes you smile and, whilst you are thinking about the lyrics and what they mean; your mind pulls in different directions and comes to various conclusions. Everything is a fascinating song that means something different to everyone. It is clear in the mind of the heroine but there is enough room to wonder and draw your own conclusions. The contradictory nature of people and certain fickleness keeps emerging. People want nothing and then, all of a sudden, they want it all. This is delivered in a song that gets you digging deep and picking apart the words. 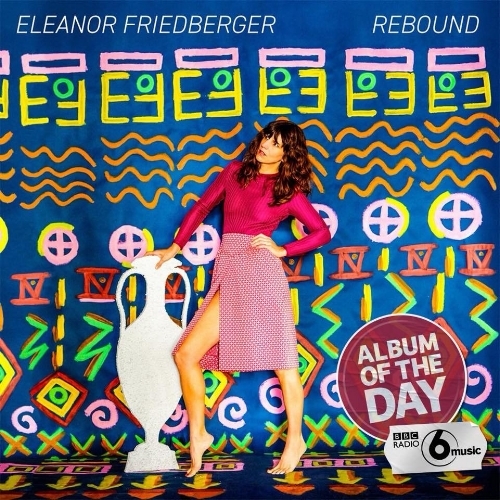 It is a brilliant creation from Eleanor Friedberger and shows why so many people have been raving about Rebound. I keep listening to Everything and trying to get on top of everything. It is a song that will provoke realisations and make you look differently at the world around you. There are not many songwriters who are doing that right now. A wonderful, sparkling and entrancing song from one of the finest songwriters working at the moment.